Story and pix by Jayaratna Wickremarachchi. 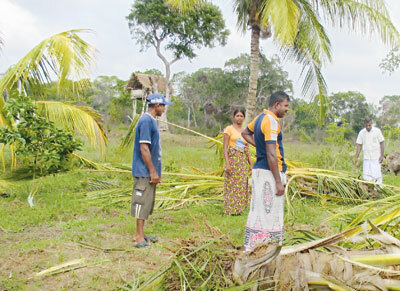 The agricultural colony of Neelabemma, in Karuwelagaswewa in the Puttalam District has been subject to constant intrusion by wild elephants which roam the Wilpattu National Park Reservation. ‘Neelabamma’ itself is the dam across the Kala Oya, stretching 13 km up to Ottupallama and is a part of a massive two-stage irrigation project. Stage One of the project covers 500 acres of paddy and chena cultivation. 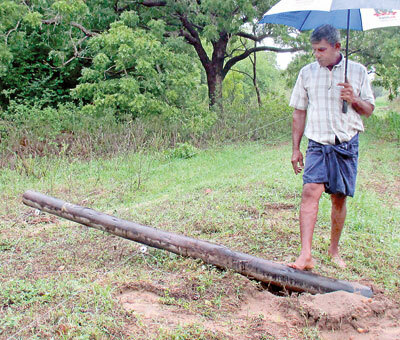 From the time the project commenced it has been subjected to regular attacks by wild elephants from the Wilpattu National Reserve which is in the vicinity. An electrified fence was constructed to prevent the beasts entering the Neelabemma village. 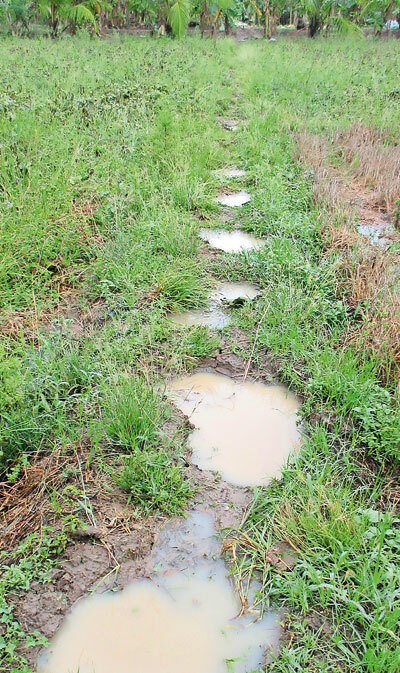 But recently the elephants have broken the fence and encroached farm lands causing damage to crops. The Civil Security Unit which falls under the purview of the Department of Wild Life patrols the fence during the day, but security is withdrawn at night. 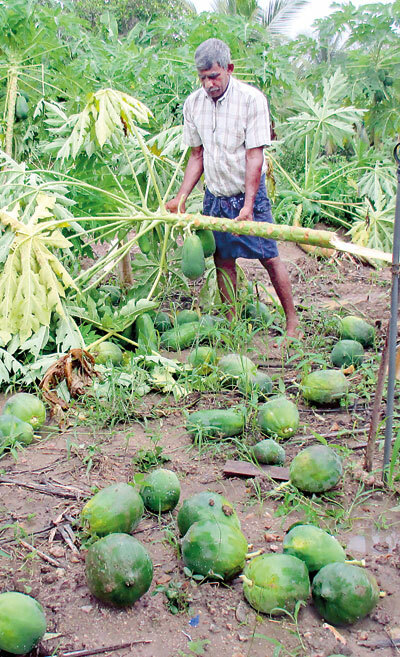 The farmers who were displaced during the recent floods managed to re-commence agricultural activities with loans taken from lending institutions. 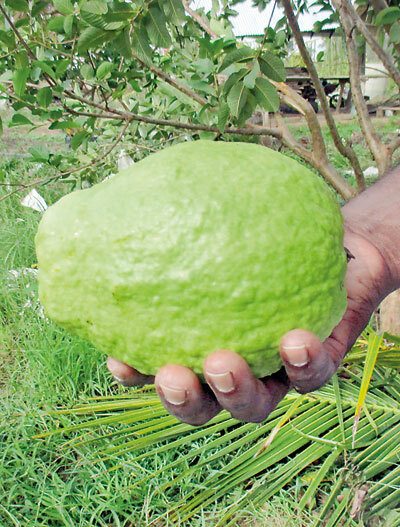 They have not repaid these loans as yet and fear the damage to crops by the elephants will keep them indebted as well as fearful for their lives. 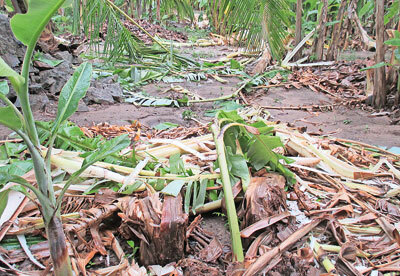 A despairing farmer surveys his destroyed crop.